It seems like all babies do is teethe, you can’t help but feel sorry for them if it’s anything like the toothache we get as adults! Give a gift that not only looks the part but is also pretty handy with the Matchstick Monkey Gift Box Set. 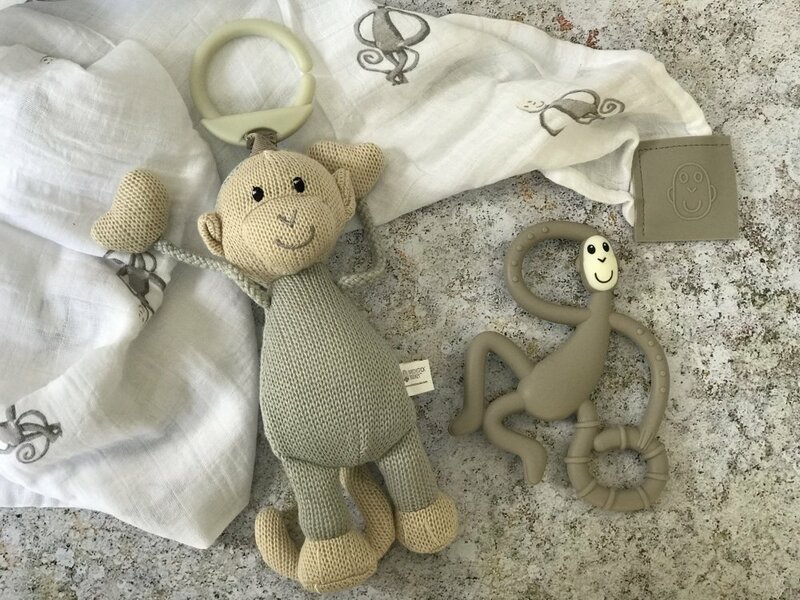 With their ubiquitous large dancing monkey teething toy taking front and centre, this set also contains a soft hanging monkey rattle and a cotton muslin complete with teething label for baby to chomp down on. Matchstick Monkey are renowned for their cute teething toys and this set makes it a lovely gift package to help them through that teething period… pain free! I can vouch for this, our Matchstick Monkey is currently arm first in the baby’s mouth as I type this! 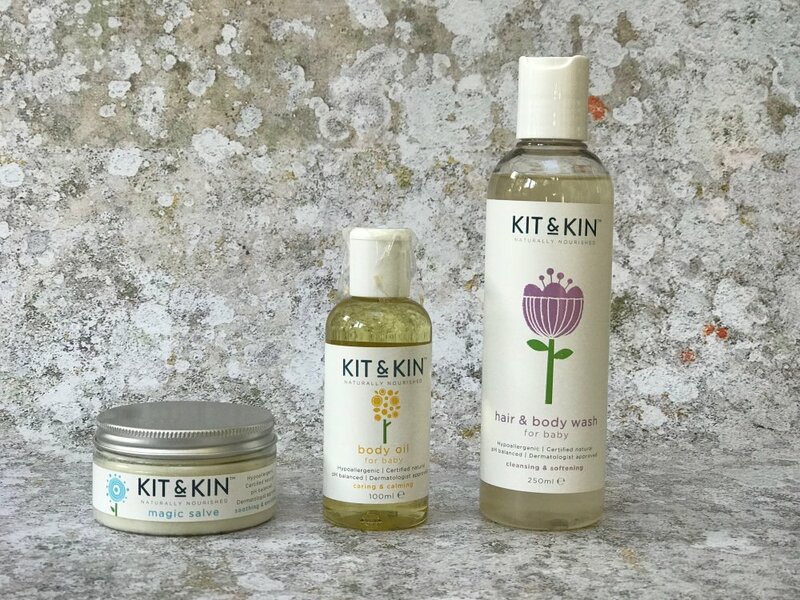 Founded by Emma Bunton, Kit & Kin has an excellent reputation for creating beautiful, natural products for both mum and baby. This hypoallergenic and certified natural skincare bundle from Kit & Kin is ideal for the sensitive and delicate skin of little babies and is approved by dermatologists. The baby bundle comes complete with calming baby oil (perfect for baby massage), hydrating bubble bath, cleansing body wash and an amazing magic salve that is quite literally magic when used on any dry skin or troublesome areas. Packed into a gift box, this would make a great gift for anyone that’s unsure what to buy a baby! Not only that, there’s a mum bundle available also if you’re looking for a matching treat. A personal favourite, the sensory muslin squares from Etta Loves are created with a babies visual development in mind. Choose from black and white patterns (perfect for babies between 0-4 months) and more colourful versions for 5 months plus with a range of patterns based around those found in nature. We love the extra large muslin squares; swaddles blanket, play mat and coverall all in one. Super soft, easy to wash and bound to attract plenty of attention our favourites are the star fish design, the dalmation spot and the colourful leopard print – I just wish they came in adult blanket sizes as well! Falling between the baby and toddler stage, this wooden board puzzle is great for little ones from around one year upward. 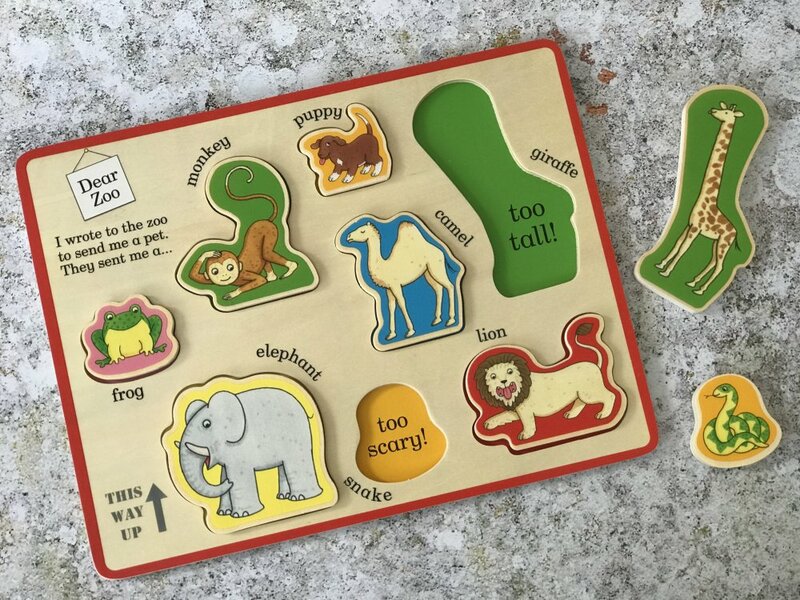 Based on the ‘Dear Zoo’ classic book (which you can get here), the puzzle contains animals along with why they were or weren’t suitable – great for playing along with the book, practicing shape sorting or learning different animals. With chunky pieces and bright colours, it’s a really beautiful puzzle to add to the collection! The Dear Zoo Wooden Puzzle Tray is from Milly & Flynn and is available from a variety of stores from £12. I feel like I harp on about the ToddleBike but it’s really a firm favourite in this household. We’ve had it since we reviewed it over a year ago and I can honestly say that I’d recommend it to anyone. It’s been in use properly since he was around 20-22 months but since his second birthday, he’s been glued to it. 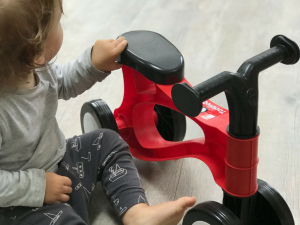 Coming in a variety of colours, it’s light, bright and really easy for them to use – a pre-balance bike if you like. Still not sure? You can read our full review from last year here. 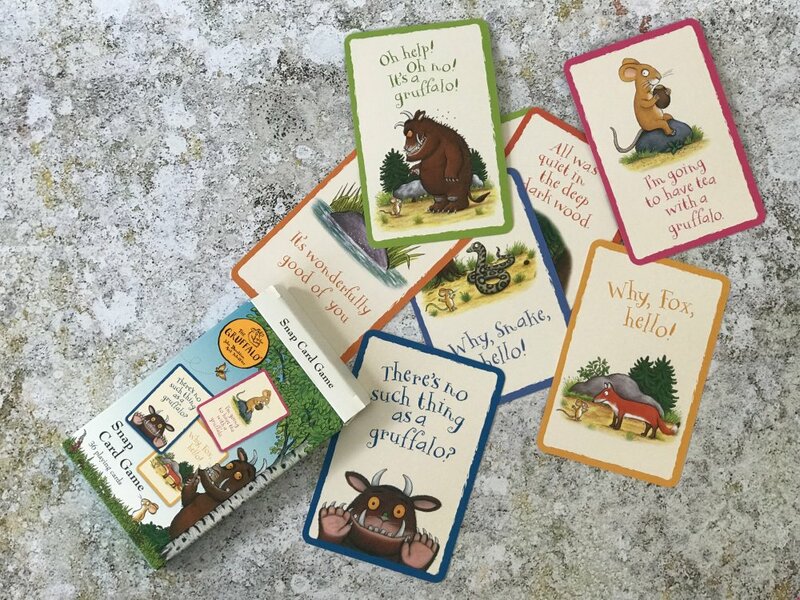 Beautifully illustrated with characters and sayings from ‘The Gruffalo’ by Julia Donaldson and Axel Sheffler, this snap card game is an ideal stocking filler. Suitable for ages two and up, it helps to develop key skills such as matching and turn taking as well as stimulating their imagination. We love getting the cards out and just talking about the story as much as we do attempting to play the game! Our bulkiest addition to the gift guide, a play kitchen is a quintessential children’s toy that’ll give years of fun. 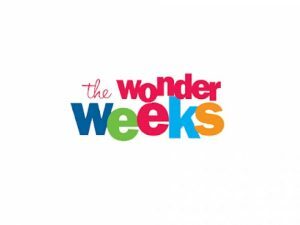 The best thing is, a wooden version needn’t break the bank making them great value for money – just make sure you get one that suits the size of space that you have. One of my favourites is the Wooden Deluxe Kitchen from Asda; a mint green, grey and white delight complete with microwave, hob and cupboards. Top up the treat (or ask others to buy) with on theme items such as fruit & veg selections, pots and pans and even a kettle… well, it’s good to get them trained up on tea duties early! This three piece ‘ Very Hungry Caterpillar’ cutlery set from Portmeirion makes a great gift for little eaters or a gift to treasure until they’re a little older! 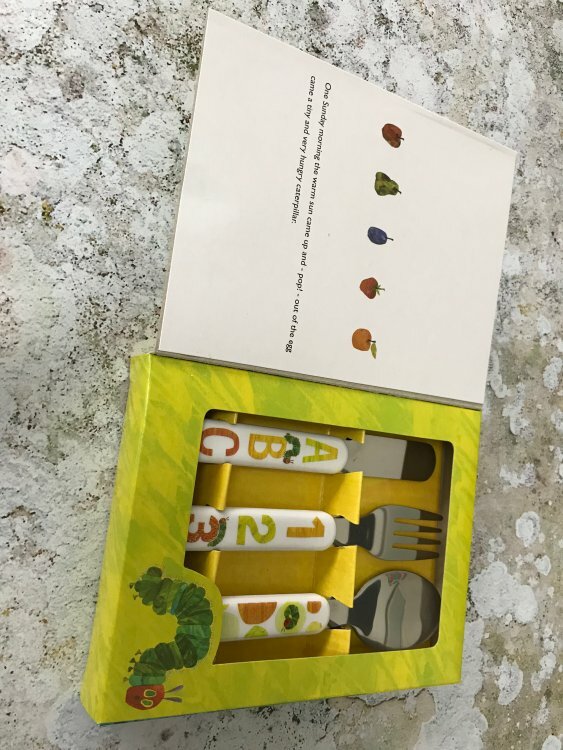 Decorated with letters, numbers, foods and of course, the caterpillar himself, this knife, fork and spoon have been designed to be just the right size for little hands. Made from ceramic and stainless steel, this set will last and last. Okay, so it IS pricey but think of it as an artistic piece as well as this rainbow truly is a work of art. Beautifully bright colours combined with tactile shapes of wood mean you won’t want to put this down, let alone your toddler. Turn it into bridges and tunnels for transport play, make rocking beds for dolls, build them up into various towers, practice your colours or just admire their beauty; a Grimm’s rainbow is a piece that will last and last. The matt finish of the dyed wood means that they take bashes and dents well and this only adds to their appeal. Well worth the investment but if you’re still not convinced, read our review here, but don’t delay too long, there’s a reason they’re always sold out. 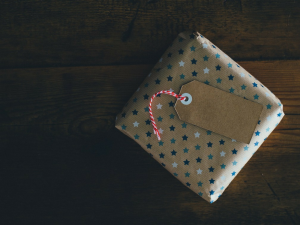 Whether you give gifts from Father Christmas or your gifts come from parents and family, there’s nothing quite like getting a sack full of goodies on Christmas morning. 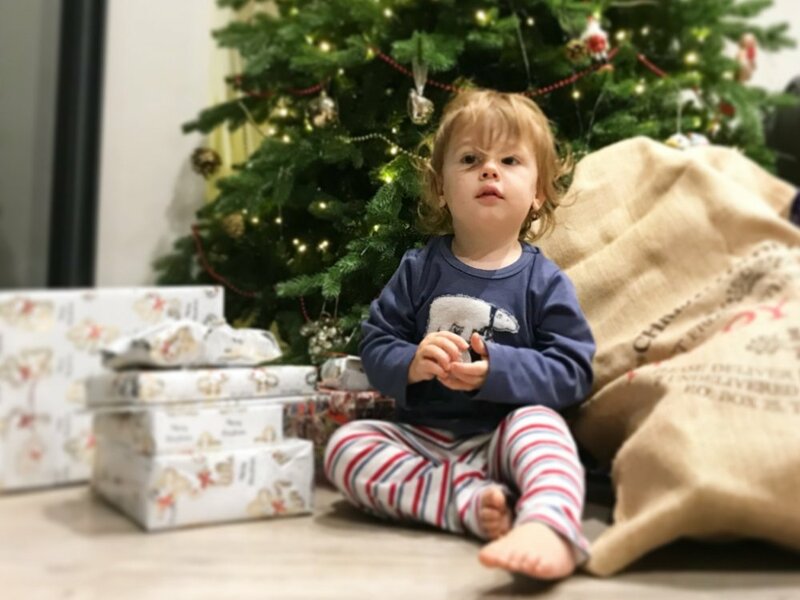 Invest in a great quality Christmas sack for the special people in your life and it’ll last them for the rest of their lifetime – trust me, I’m still using the one I had as a small child over thirty years later! For personalised or non-personalised sacks (as well as beautiful baubles! ), there’s nowhere nicer than The Handmade Christmas Co. Arriving in a luxurious storage tube, we’ll be using the Howard Christmas Sack to hold our Christmas goodies this year… I can’t wait!